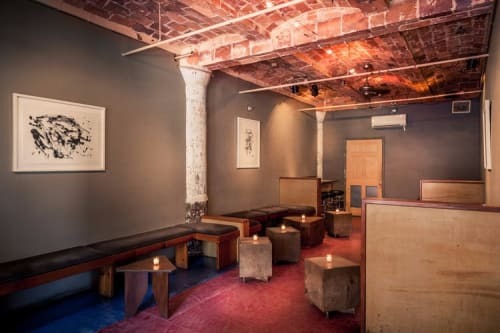 68 Jay Street Bar, located near Dumbo, unfolds a mellow event experience. The lighting of the space is muted and flattering, and touches of light wood lend an ambience of age and history. The artist in you will awaken as you maneuver through the paint-splattered walkways and terra-cotta archways. You and yours guests will enjoy the charming wines as your event slips into comfort and warmth by the fireplace.